End-to-end User Experience process including business solution provided for the client. YWCA Victoria wants to increase user engagement by making YWCA Victoria a leader within the feminist community in Australia. The General Assembly UX Team was engaged to perform an in-depth discovery in order to pinpoint the business opportunities available within the market for YWCA Victoria's new business growth. Working with existing YWCA Victoria members, the team has conducted surveys on users’ demographics, behaviours, goals and needs. The team reviewed the results and extracted data based on their specific needs, ways and reasons users are currently connected to YWCA Victoria. The survey data helped identified three significant groups of users: the change maker, the professional women and the socialist. 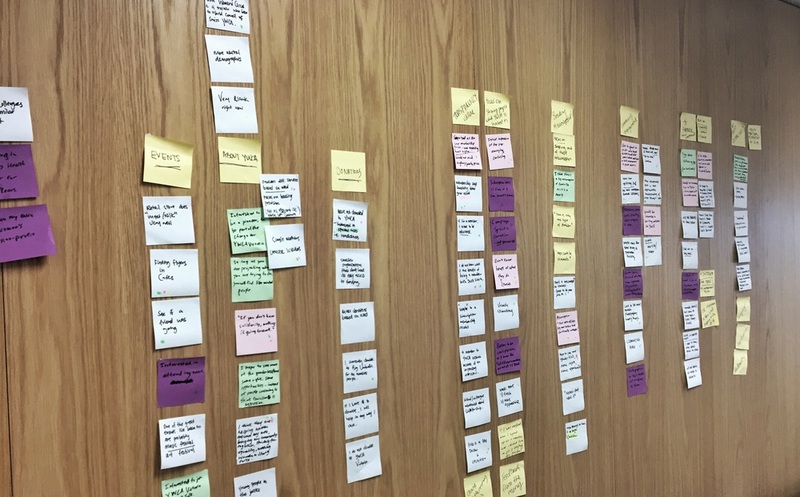 The team followed up with interviews to understand and document each significant user group’s pain points. Based on qualitative and quantitative data collected, personas were created to help the team focus and create user process flows on an empathic level through the personas’ perspectives. Competitive analysis was performed on six websites, which helped identify design opportunities available for YWCA Victoria's new interactive homepage. As the improvements have to be implemented to an existing website, a detailed assessment on YWCA Victoria Web analytics including site performance, has been documented along with recommendations. The information architecture of YWCA Victoria’s proposed new interactive website and a clear set of benchmarks were established before the conceptualisation phase started. To validate the team's design solutions, the team set up a design studio to work in an Agile environment to spur ideas through series of paper prototypes and usability testing in an efficient and low-cost manner before moving forward to high-fidelity prototyping using the industry-standard software Axure RP. User participants were recruited based on their main characteristics similarity with the persona. Each user participant's test sessions were recorded for study purposes. 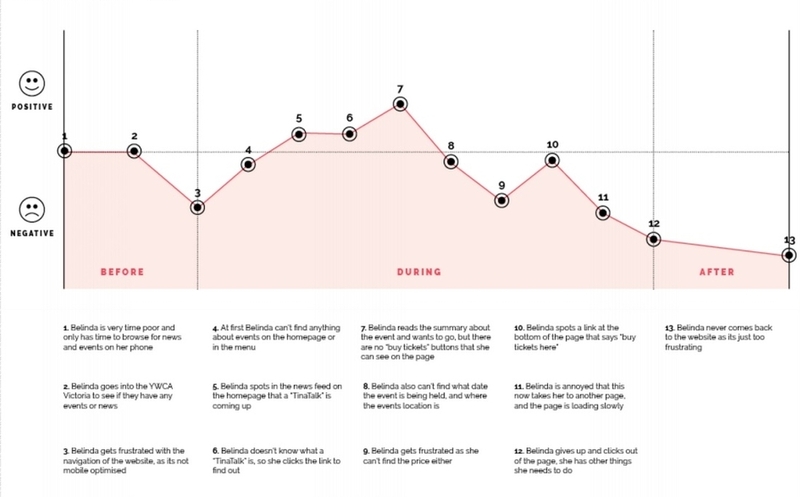 The behaviours of the users’ interactions with the prototype and the way they carried out the specific tasks allowed the team to note for recommendations for iterations. YWCA Victoria’s new interactive web design exploration has key findings with minor iterations identified from usability testing. Based on other scenarios (user process flow), before moving forward to develop an optimised responsive web design well for the future, it is recommended to work closely with a visual designer on the color schemes needed to implement on the prototype for clearer call-to-action motivation before performing the next usability testing, where users on the move are able to access the site through the wide variety of devices. The responsive web design is an elegant and seamless way for YWCA Victoria website to load much quicker on mobile devices, eliminating the need to zoom in or out. 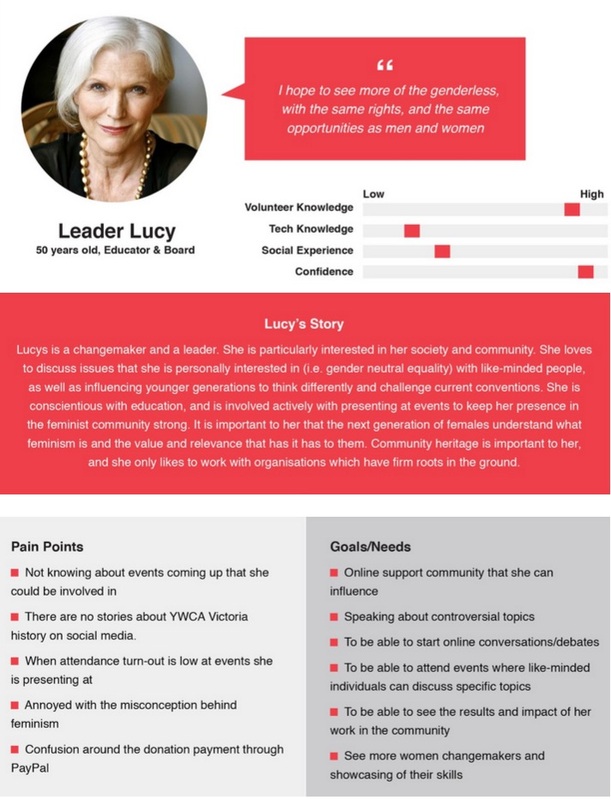 Other attributes to YWCA Victoria’s responsive web design are that event pages, memberships and donation pages are responsive, making it easy for users to purchase regardless of the device that they are accessing the site from. The events booking experience for the users across all devices at one unique destination is thus optimised and pleasant.